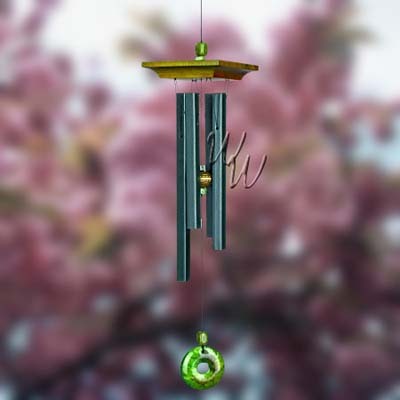 Tuned using the Golden Ratio, this is a sophisticated, elegant wind chime. We have provided a sound file if you would like to hear this Chimes beautiful sound. Green wash finish cherry wood, 4 black powder-coated aluminum square tubes with green overtones, genuine stone and plastic bead accents.